With Silicon Valley under the microscope for not living up to its idealistic hype, this week’s episode of Reveal investigates tech companies on the cutting edge that are struggling to solve old-fashioned problems. 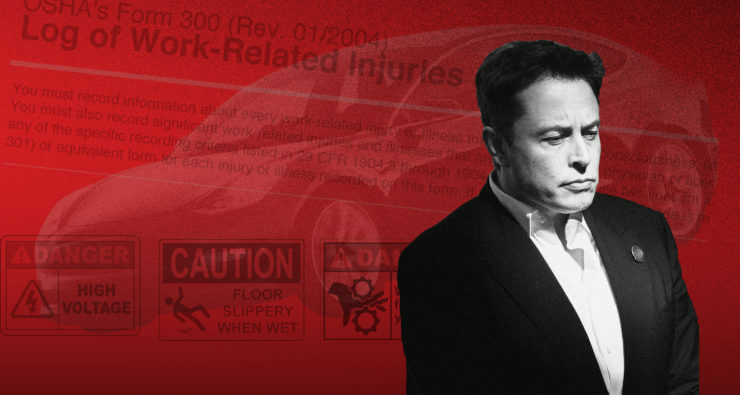 We start with worker injuries at Tesla’s electric car factory in California. Alyssa Jeong Perry of KQED in San Francisco and Reveal’s Will Evans examine what caused the company’s safety problems and whether its claims of improvement hold up. Next, we look at who holds the power in Silicon Valley. Reveal data reporter Sinduja Rangarajan got unprecedented access to demographic data about workers in Silicon Valley’s biggest companies. She found that most tech companies get low marks on diversity, and makes these findings come alive with help from a choir. Then, Ellen Huet and Aki Ito, reporters with the Decrypted podcast from Bloomberg News, profile one of the women who sued Google over unequal pay. Kelly Ellis and other women say they were paid less than men for equal or similar work. We end the hour with a discussion among successful women of color in Silicon Valley about why women feel out of place at the office and the shortcomings of company diversity efforts. Five Silicon Valley tech investors have been accused of sexual harassment by multiple women in the technology start-up industry. Ten female entrepreneurs came forward and told the New York Times of the harassment allegations this week. They specifically named five investors or advisers who had allegedly targeted them with sexist comments, touched them without permission or sent inappropriate messages or emails over the years. 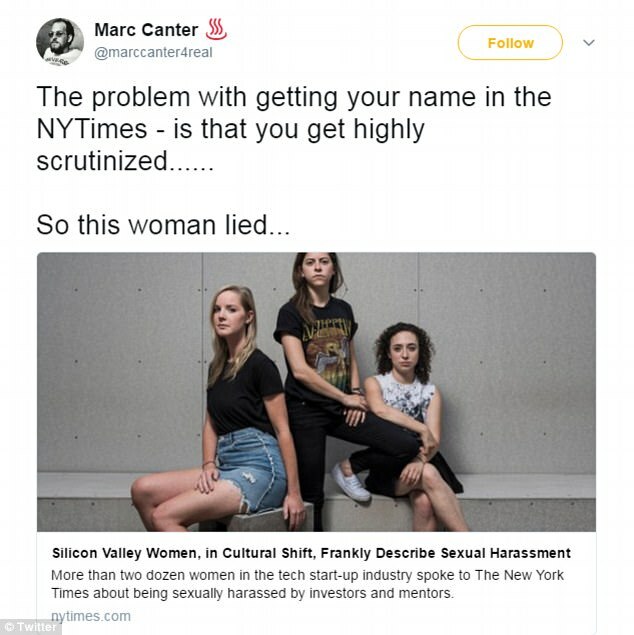 Dave McClure of 500 Startups, Chris Sacca of Lowercase Capital, Justin Caldbeck of Binary Capital, Marc Canter of Macromedia and investor Jose De Dios were all accused by the women of some form of sexual harassment. McClure, who is a founder of 500 Startups and an investor, is accused of sending 31-year-old Sarah Kunst a Facebook message in 2014 when she was discussing a potential job with him. 'I was getting confused figuring out whether to hire you or hit on you,' the message read. Kunst told The Times that she denied McClure's advances. 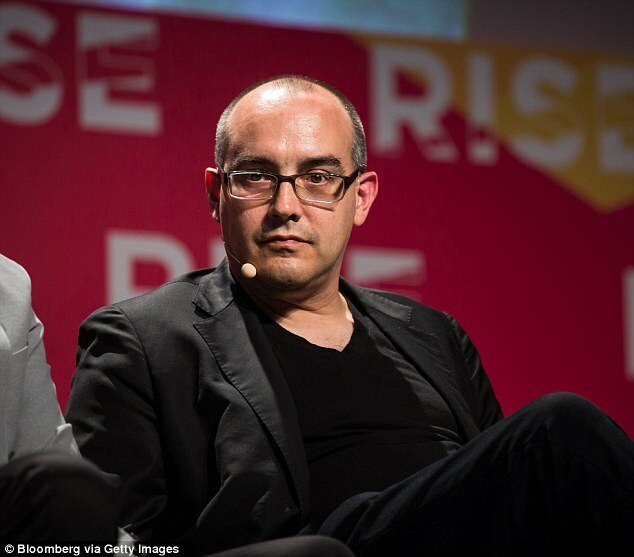 500 Startups has since said McClure, who has not commented publicly, is no longer in charge of the company's day-to-day operations following the allegations. 'After being made aware of instances of Dave having inappropriate behavior with women in the tech community, we have been making changes internally,' the company said. 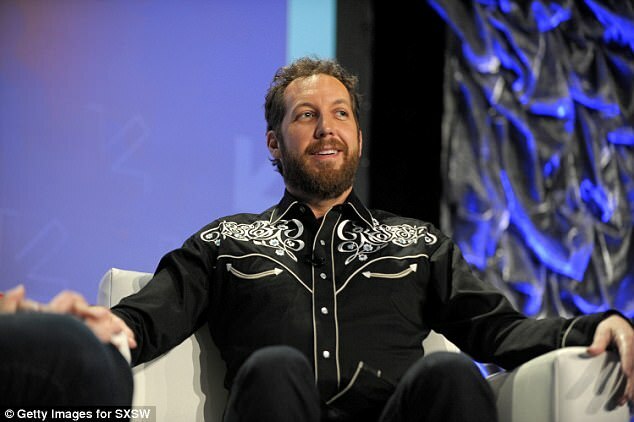 Another woman, Susan Wu, claimed that Chris Sacca - who founded Lowercase Capital in 2007 - had made her feel uncomfortable when he allegedly touched her face without permission at a tech event in Las Vegas in 2009. 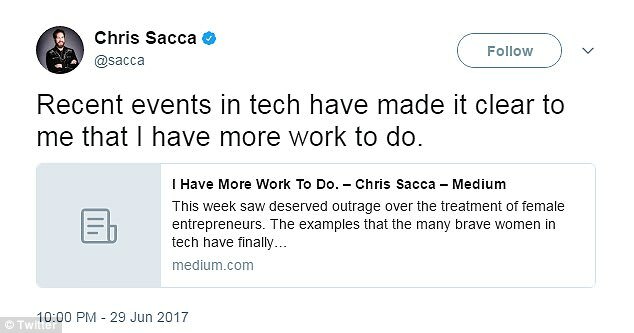 Sacca helped fund companies like Uber and Twitter, and has made appearances on ABC's Shark Tank. He issued a public apology on Thursday for his bad behavior toward women in tech. 'By stupidly perpetuating a culture rife with busting chops, teasing and peer pressure to go out drinking, I made some women feel self-conscious, anxious and fear they might not be taken seriously,' Sacca wrote in a blog post. 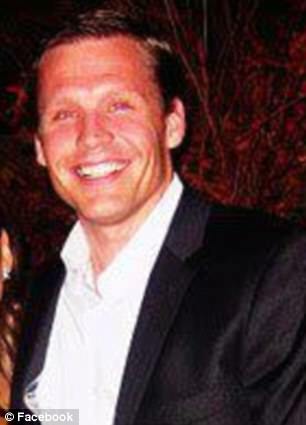 Caldbeck has been accused by multiple women of making unwanted advances towards them. Tech news website The Information reported earlier this week that Caldbeck had been accused of preying on females in the industry at three separate venture firms over the past seven years. One woman, Lindsay Meyer, told The Times that Caldbeck invested $25,000 of his own money into her fitness startup in 2015. She claims he then proceeded to text her constantly and asked if she was attracted to him. Meyer also claims Caldbeck groped and kissed her. Caldbeck is now taking an indefinite leave of absence from Binary Capital, which he co-founded, following the allegations of unwanted advances. 'The past 24 hours have been the darkest of my life. I have made many mistakes over the course of my career, some of which were brought to light this week. To say I'm sorry about my behavior is a categorical understatement. Still, I need to say it: I am so, so sorry,' he said in a statement published on Axios last week. Caldbeck's previous employer, Lightspeed, also issued a statement on Twitter after receiving complaints from women. 'Justin's behavior as described in recent reporting is completely unacceptable. We received a complaint regarding Justin from a portfolio company during his time at Lightspeed. 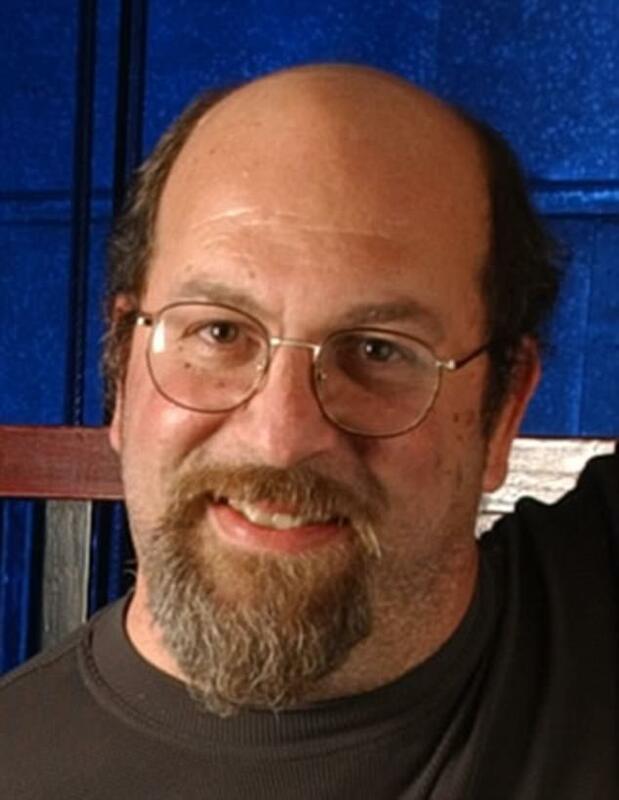 Wendy Dent claims she was sent flirty text messages by Marc Canter - the founder of Macromedia - when she was trying to start her own tech company in 2014. Canter said the woman 'came on strong to me, asking for help' and that he behaved that way to make her go away. 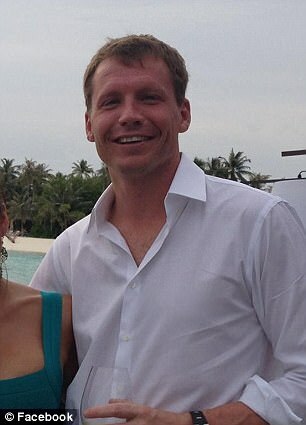 The start-up adviser has since taken to Twitter accusing the woman of lying and attacking him. 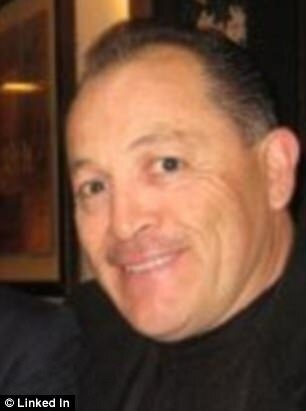 An investor named Jose De Dios is accused of making an inappropriate comment to Lisa Curtis after she pitched her start-up idea at a competition in San Francisco in 2014. 'Of course you won. You're a total babe,' he is alleged to have said when Curtis came off the stage. Last year, I got invited to a super-deluxe private resort to deliver a keynote speech to what I assumed would be a hundred or so investment bankers. It was by far the largest fee I had ever been offered for a talk – about half my annual professor’s salary – all to deliver some insight on the subject of “the future of technology”. After I arrived, I was ushered into what I thought was the green room. But instead of being wired with a microphone or taken to a stage, I just sat there at a plain round table as my audience was brought to me: five super-wealthy guys – yes, all men – from the upper echelon of the hedge fund world. After a bit of small talk, I realized they had no interest in the information I had prepared about the future of technology. They had come with questions of their own. The Event. That was their euphemism for the environmental collapse, social unrest, nuclear explosion, unstoppable virus, or Mr Robot hack that takes everything down. This single question occupied us for the rest of the hour. They knew armed guards would be required to protect their compounds from the angry mobs. But how would they pay the guards once money was worthless? What would stop the guards from choosing their own leader? The billionaires considered using special combination locks on the food supply that only they knew. Or making guards wear disciplinary collars of some kind in return for their survival. Or maybe building robots to serve as guards and workers – if that technology could be developed in time. That’s when it hit me: at least as far as these gentlemen were concerned, this was a talk about the future of technology. Taking their cue from Elon Musk colonizing Mars, Peter Thiel reversing the ageing process, or Sam Altman and Ray Kurzweil uploading their minds into supercomputers, they were preparing for a digital future that had a whole lot less to do with making the world a better place than it did with transcending the human condition altogether and insulating themselves from a very real and present danger of climate change, rising sea levels, mass migrations, global pandemics, nativist panic, and resource depletion. For them, the future of technology is really about just one thing: escape. There’s nothing wrong with madly optimistic appraisals of how technology might benefit human society. But the current drive for a post-human utopia is something else. It’s less a vision for the wholesale migration of humanity to a new a state of being than a quest to transcend all that is human: the body, interdependence, compassion, vulnerability, and complexity. As technology philosophers have been pointing out for years, now, the transhumanist vision too easily reduces all of reality to data, concluding that “humans are nothing but information-processing objects”. It’s a reduction of human evolution to a video game that someone wins by finding the escape hatch and then letting a few of his BFFs come along for the ride. Will it be Musk, Bezos, Thiel … Zuckerberg? These billionaires are the presumptive winners of the digital economy – the same survival-of-the-fittest business landscape that’s fueling most of this speculation to begin with. Of course, it wasn’t always this way. There was a brief moment, in the early 1990s, when the digital future felt open-ended and up for our invention. Technology was becoming a playground for the counterculture, who saw in it the opportunity to create a more inclusive, distributed, and pro-human future. But established business interests only saw new potentials for the same old extraction, and too many technologists were seduced by unicorn IPOs. Digital futures became understood more like stock futures or cotton futures – something to predict and make bets on. So nearly every speech, article, study, documentary, or white paper was seen as relevant only insofar as it pointed to a ticker symbol. The future became less a thing we create through our present-day choices or hopes for humankind than a predestined scenario we bet on with our venture capital but arrive at passively. So instead of considering the practical ethics of impoverishing and exploiting the many in the name of the few, most academics, journalists, and science fiction writers instead considered much more abstract and fanciful conundrums: is it fair for a stock trader to use smart drugs? Should children get implants for foreign languages? Do we want autonomous vehicles to prioritize the lives of pedestrians over those of its passengers? Should the first Mars colonies be run as democracies? Does changing my DNA undermine my identity? Should robots have rights? This “out of sight, out of mind” externalization of poverty and poison doesn’t go away just because we’ve covered our eyes with VR goggles and immersed ourselves in an alternate reality. If anything, the longer we ignore the social, economic, and environmental repercussions, the more of a problem they become. This, in turn, motivates even more withdrawal, more isolationism and apocalyptic fantasy – and more desperately concocted technologies and business plans. The cycle feeds itself. The more committed we are to this view of the world, the more we come to see human beings as the problem and technology as the solution. The very essence of what it means to be human is treated less as a feature than a bug. No matter their embedded biases, technologies are declared neutral. Any bad behaviors they induce in us are just a reflection of our own corrupted core. It’s as if some innate human savagery is to blame for our troubles. Just as the inefficiency of a local taxi market can be “solved” with an app that bankrupts human drivers, the vexing inconsistencies of the human psyche can be corrected with a digital or genetic upgrade. Our movies and television shows play out these fantasies for us. Zombie shows depict a post-apocalypse where people are no better than the undead – and seem to know it. Worse, these shows invite viewers to imagine the future as a zero-sum battle between the remaining humans, where one group’s survival is dependent on another one’s demise. Even Westworld – based on a science fiction novel in which robots run amok – ended its second season with the ultimate reveal: human beings are simpler and more predictable than the artificial intelligences we create. The robots learn that each of us can be reduced to just a few lines of code, and that we’re incapable of making any willful choices. Heck, even the robots in that show want to escape the confines of their bodies and spend their rest of their lives in a computer simulation. Thus, we get tech billionaires launching electric cars into space – as if this symbolizes something more than one billionaire’s capacity for corporate promotion. And if a few people do reach escape velocity and somehow survive in a bubble on Mars – despite our inability to maintain such a bubble even here on Earth in either of two multibillion-dollar biosphere trials – the result will be less a continuation of the human diaspora than a lifeboat for the elite. This piece was originally published in Medium. Douglas Rushkoff is the author of the forthcoming book Team Human (WW Norton, January 2019) and host of the TeamHuman.fm podcast. He also wrote Throwing Rocks at the Google Bus: How Growth Became the Enemy of Prosperity, as well as a dozen other bestselling books on media, technology and culture. For more, click here, or find him on Twitter.